The late Jonathan Schell dedicated his life to the abolition of nuclear weapons. He wrote that nuclear exterminism did not come from 20th century totalitarian regimes, but that “the most radical evil imaginable – the extinction of the human species – [was] first placed in the hands of a liberal republic.” A graver suspicion was that the United States and its allies did not build these weapons to face extraordinary danger, but because of “an intrinsic element of the dominant liberal civilization itself – an evil that first grew and still grows from within that civilization rather than being imposed from without.” Entire societies, the human species itself, are merely a pawn. Schell writes that nuclear strategy is the “very epicenter of banality” and is manufactured in think tanks and academic institutions from the pseudoscience of game theory. Judith Deutsch is a columnist for Canadian Dimension Magazine , former president of Science for Peace, and a psychoanalyst by profession. 1. Noam Chomsky and Laray Polk (2013). Nuclear war and Environmental Catastrophe , Seven Stories Press (p. 21-22). 2. Dr. Dale Dewar and Florian Oelck (2014). From Hiroshima to Fukushima to You: A Primer on Radiation and Health , Between the Lines (p. 149-50). Also see Eric Schlosser (2013). 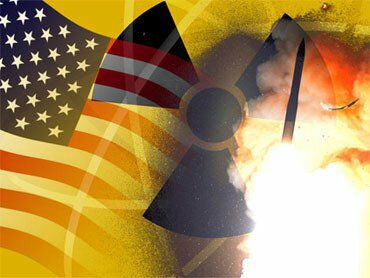 Command and Control: Nuclear Weapons, the Damascus Accident, and the Illusion of Safety , Penguin. 3. Jonathan Schell (2001). The Unfinished Twentieth Century: The Crisis of Weapons of Mass Destruction , Verso (p. 32-47).